Organizational Development is about improving the effectiveness of people, process and culture to serve the organizational mission. Think of an OD professional like a physician - we uncover (a.k.a. diagnose) underlying issues impacting organizational performance. We partner with you to create a plan to address the underlying issues, and then implement structures, systems or processes to enhance organizational performance. We take a systems level view. Organizations are complex structures with interlocking parts, internal and external influences, personalities, and culture norms. Each of these factors can help or hinder organizational performance. 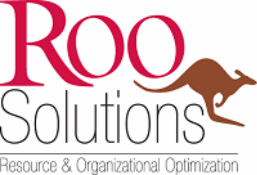 We will help you figure out what is helping and what is hindering organizational performance. Then we will work with you to address issues. OD practitioners use tools such as behaviorally-based interviews, surveys, process review, job shadowing and observation, strategic and business plan review, workforce planning and change management techniques to uncover barriers to organizational success, and create lasting solutions to improve organizational systems. Experts might agree that the following definitions of OD represent the major focus and thrust of many of today's OD practitioners. "Organization development is a system-wide application of behavioral science knowledge to the planned development and reinforcement of organizational strategies, structures, and processes for improving an organization's effectiveness." -Cummings and Worley, "Organization Development and Change", Sixth Edition, South-Western Publishing, 1997, p.2. "Organization Development is a body of knowledge and practice that enhances organizational performance and individual development, viewing the organization as a complex system of systems that exist within a larger system, each of which has its own attributes and degrees of alignment. OD interventions in these systems are inclusive methodologies and approaches to strategic planning, organization design, leadership development, change management, performance management, coaching, diversity, and work/life balance."